Did Trends Win The Last Festival Plate Handicap Chase? 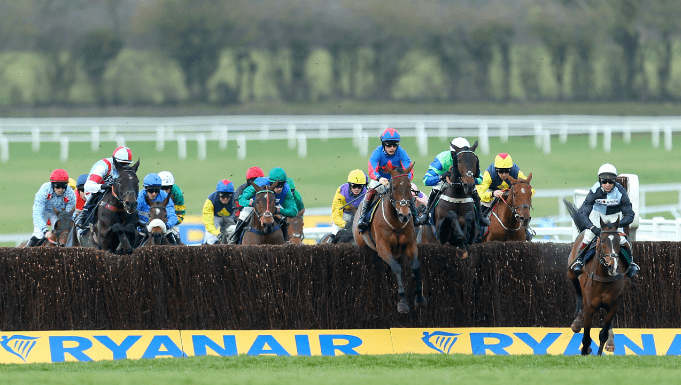 The 2019 Festival Plate Handicap Chase trends picked out three horses, including the third and fourth - priced at 6/1 and 10/1 in the Cheltenham betting. Aged seven and eight, Spiritofthegames and Eamon An Cnoic were lightly raced over fences, and had run at Cheltenham without winning. They had also won at the right courses, while not wining more than two handicap chases - a key trend across the last 15 years (see below). Eamon An Cnoic had the more attractice weight and rating, coming in below the average handicap mark for any of the last 40 horses to finish in the first four (see placed trends below). Didero Vallis, the final trends pick, was also very lightly-weighted and shared a similar profile, but finished fifth at odds of 16/1. The winner Siruh Du Lac carried little weight at 10st 8lb, but appeared far too exposed, having won five handicap chases. The six-year-old also bust a massive trend; he had won a chase at Cheltenham. Bucking trends galore, Siruh Du Lac made all the running to win the 2019 Festival Plate Handicap Chase for jockey Lizzie Kelly and trainer Nick Williams. The six-year-old had won a valuable trial at the course in January to record his fifth handicap chase success, but still had just 10st 8lb to carry thanks to Kelly's 3lb claim. No Cheltenham chase winner had ever landed the tricky handicap, but there was no stopping Siruh Du Lac as he powered to a facile victory over old foe Janika, the gallant top weight. Janika carried 1lb shy of topweight when beaten a head by Siruh Du Lac in January, and had been raised 6lbs in the handicap since. Nevertheless, his three-quarter length second under that weight at the Festival was a remarkable feat for a French-bred in his first season in Britain, and he went on to shoulder the same burden to fourth in the Topham Handicap Chase over the National fences at Aintree. Lightly-raced novice Spiritofthegames was a further two and a quarter lengths back in third, with Eamon An Cnoic, who had been been fifth in the BetVictor Gold Cup at the track last November, taking fourth.